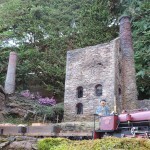 On the Barle Valley Light Railway, a Harvey Watkins 7/8″ scale “Louisa” type Hunslet passes Great Wheal Alfred engine house (named after an ancestor who was a Cornish mining engineer). Photo: Chris Tilley. 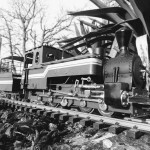 An O&K 0-8-0 jackshaft loco in Java. Photo: Paul Humphries. A kit-built Regner Shay, seen at the Butterley Garden Railway last summer. The dog is to scare off the bears lurking in the woods! Photo: Don Butterell. 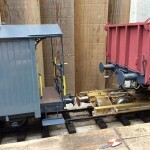 16mm Garden Railway and new Gauge 1 layout on site. 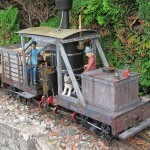 Miniature steam train rides, 4mm (00-gauge) layout in clubhouse, model boating pool, 16mm scale garden railway. Refreshments. Free parking. 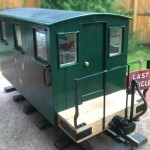 The Association of 16mm Narrow Gauge Modellers Limited is a private company limited by guarantee. Registered in England and Wales No. 3117166. 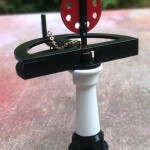 Copyright © 2009 to 2019 Association of 16mm Narrow Gauge Modellers. All Rights Reserved. Site Disclaimer.